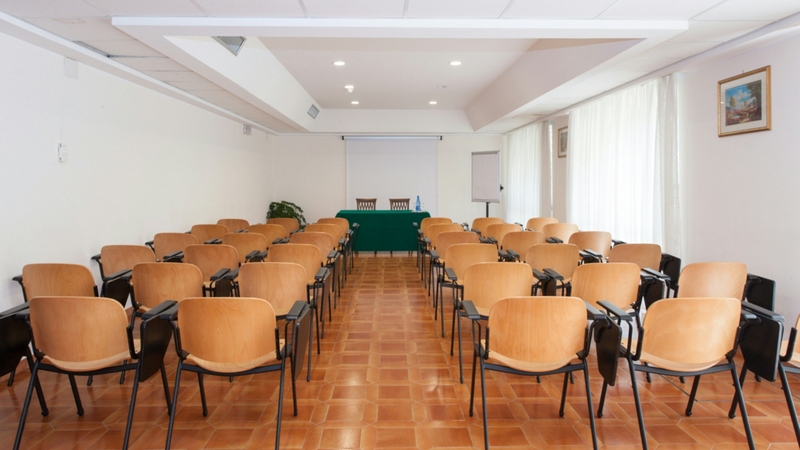 In Rome for business, conferences or business meetings? 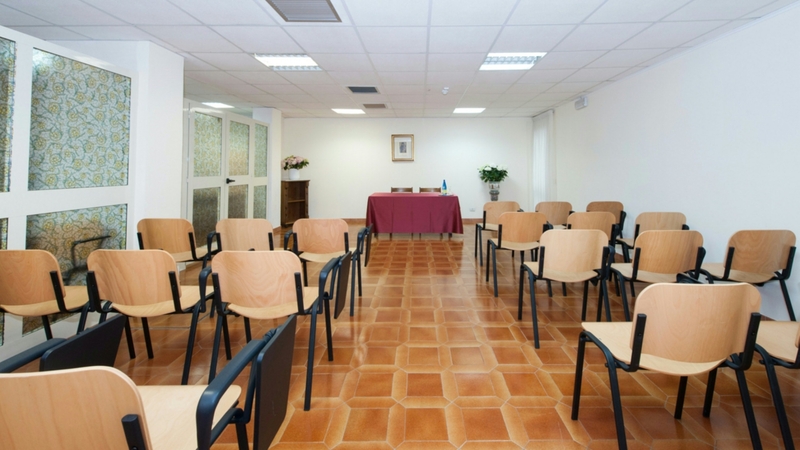 Hotel Casa Tra Noi has a big and perfect structure to carry out your business quietly in the capital. 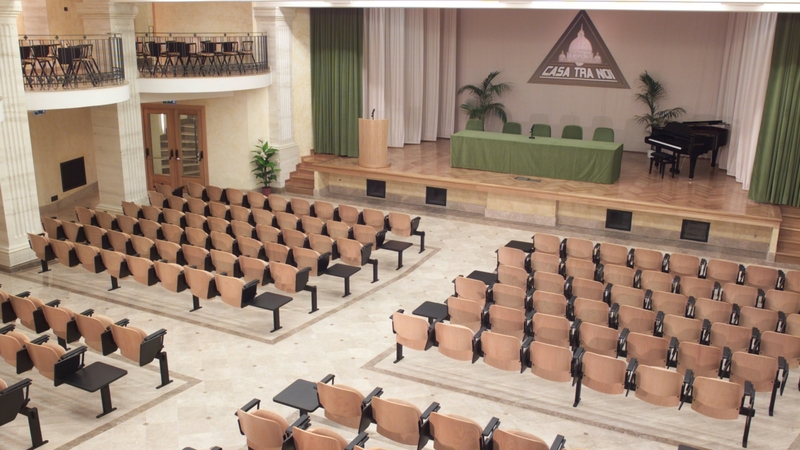 All activities associated with the corporate world have in the Hotel Casa Tra Noi the optimal environment for business meetings, conferences, meetings, presentations and workshops. 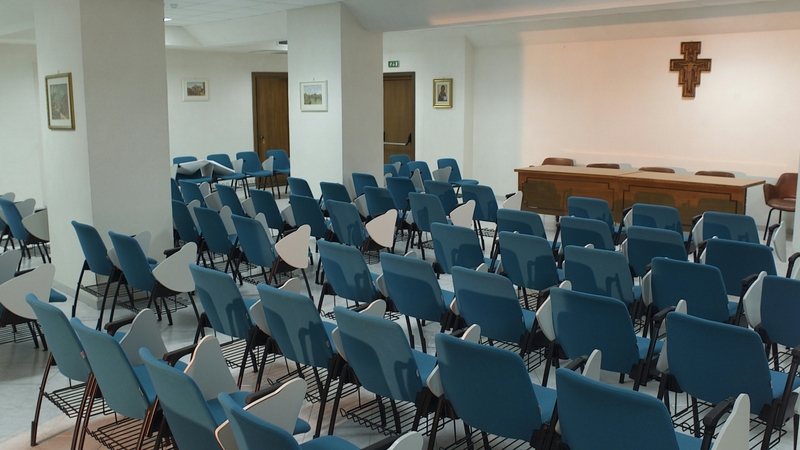 Four conference rooms with capacities from 30 to 100 seats, in addition to the vast common spaces allow guests and organizers to enjoy maximum comfort in terms of operations and planning. 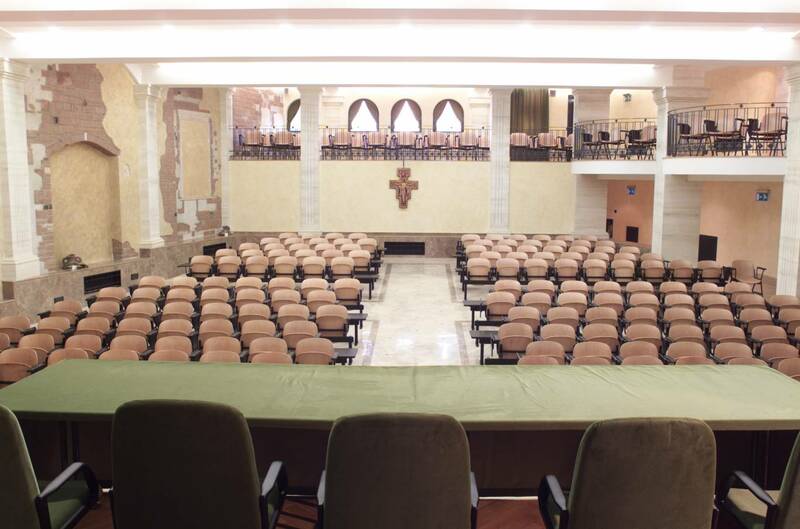 The Don Sebastian Plutino Auditorium with 230 seats is equipped with all facilities to host major events such as meetings and conferences, while the San Francisco conference room with its 40/50 seats in 60 square meters is equipped with table microphones, overhead, flipchart and projection screen, the best for workshops and presentations. The hotel has a large and elegant Auditorium/Theatre restructured, with 230 seats among stalls and gallery. 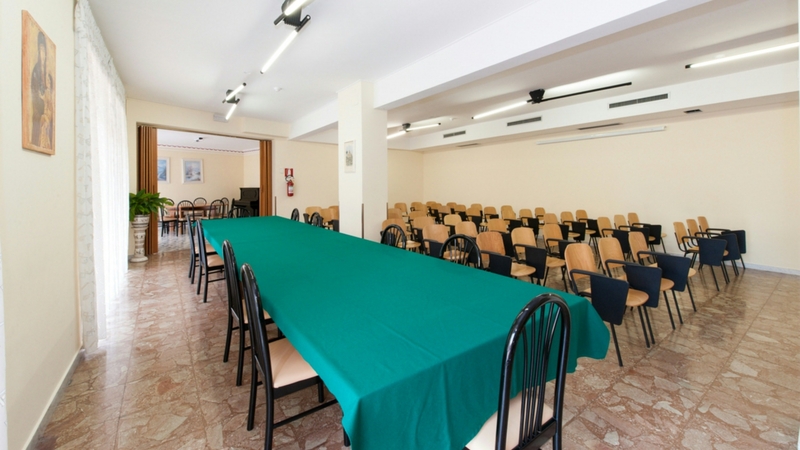 It is equipped for conferences, conventions, concerts and plays. It has a large projection screen, sound system with fixed and mobile and wireless table microphones, projectors, video recorders, recording system audio / video and a piano at half tail. Technical features standard: table microphones, flip chart, screen and internet connection WI-FI. Welcome coffee, Coffee break, Cocktail, Light lunch, Refreshment, Lunch, Dinner. Technical features standard: table microphones, flip chart and projection screen.